Blown up fuse, leaking taps, broken chairs... you can stay calm and relaxed! Wondering how you can manage that? Get a handyman comes handy to fix up your things. Handyman services provide people who are skilled in repair work, especially those that are too small for a contractor. It is not necessary that a handyman should possess a professional qualification but a good handyman is smart, proficient, skillful, knowledgeable and experienced. In recent times handyman services come equipped with license and insurance as per the rules of the state where they are operating. Every house has some kind of maintenance work that has to be attended to at the earliest. The kind and amount of work might not require a contractor to handle the job. In such case handyman services are the best alternative to consider. They can send in a handyman after assessing and studying your needs thoroughly. The services can include small jobs like fixing a fuse or small plumbing jobs to big jobs like altering the kitchen or bathroom, fitting a ceramic tile, fitting shelves or even constructing a fence. Some handyman services offer exclusive services such as carpentry and plumbing while few others are skilled in electrical jobs and other general home maintenance jobs. It is advisable to choose a handyman services company to send you a handyman rather than hiring a handyman directly for the following reasons. 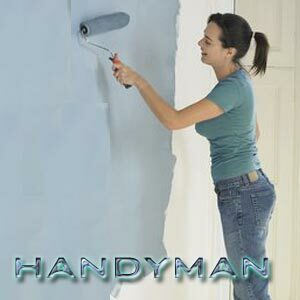 Handyman services come equipped with a variety of handyman talents and you can choose a handyman who can serve your requirements best. Handyman services employ qualified and licensed handyman, thus ensuring professional service to the customer. Check if the handyman possesses workers' compensation and liability insurance. An unexpected injury on your premises may end up costing you substantial liability. Material cost can be lowered when you get your work done through a handyman service. You can be rest assured that the handyman sent to you is trouble free and that you and your home are in safe hands. You have the choice of signing up a written contract with the service provider for the work you want him to get done. Payment can always be made in parts according to the work completed. Ensure you take a receipt for all the cash transactions you have made with the handyman services. Typically most homeowners need handyman services in the yard, bathrooms, and kitchens and with electrical appliances. This may encompass repair or upgrading of electrical wiring, caulking or weather proofing, painting interiors or exteriors and repair of windows, doors and cabinets. After years of use, your flooring may need changing. Be it installing drywall or building a deck, choose your handyman with care. You can look up local online directories for information on handyman services in your locality. Consider references given by friends or neighbors. Getting a signed agreement before start of work is wise. Assess the repair coverage you have from your insurance company. Collect a few estimates so that you can compare prices and services. The lowest estimate need not necessarily be the best option. Seek a handyman with the right qualifications or sufficient experience to handle the job at hand. For certain kind of plumbing or electrical work, it can be disastrous to have a novice work on your home. Remember that a handyman may be experienced in handling a particular type of job alone. E.g. carpentry. Forcing him to do other jobs like electrical or plumbing might end up in a fiasco. Recent times have seen more and more handywomen on the scene. There are part-time and full-time handymen available. Part-time handymen have limited skills and are cheaper to hire when compared to professional handymen. Ensure that you have a person who is loyal and trouble free so that you can be rest assured while a handyman is at work. Look for one who shows interest in your project and offers opinions that are practical and alternatives to get the job done within your budget. Professional handyman services should manage your project from planning to securing right materials at right price to offering suggestions and completing it within the short time frame. Handyman club of America was founded in 1993 with the main idea of bringing together all the do-it-yourself enthusiasts to share ideas and information. The club seeks to encourage people who love to do things by themselves and are always eager to learn something new. People who love and enjoy doing small repairs at home also love to learn how to do quality work with utmost safety and security can update themselves on vital dos and don'ts at the Handyman club of America. Handyman club of America has over 850,000 members. This club also publishes a magazine 'HANDY' for the benefit of its members. The magazine serves to be a valuable source of information on home improvement, wood working and repair and maintenance. Handyman magazine is a vital guide and resource to professional and useful information for various petty jobs that can be handled at home. The magazine gives all kinds of information that a do-it-yourself enthusiast will look for. With the growing number of do-it-yourself enthusiast in the US, such a magazine plays a vital role in providing information and encouragement. The magazine is a learning opportunity in itself and covers varied topics of interest for the DIY enthusiast. First Published Date: Aug 17 2006 Last modified Date: April 18 2019 This page may have been updated recently as new information is available or the content may have been edited for better readability.